Traveling to different countries and immersing yourself in a foreign culture can be daunting and a challenge for anybody, and it is known that there is always an adjustment period, especially to new food. This reality usually becomes all the more intense for those of us who don’t eat meat. Yes, the rare breed of non-carnivorous humans (that is becoming increasingly popular)- we call ourselves… vegetarians! From my own personal experience living as a vegetarian in Spain, I have created your meatless survival guide to Spanish tapas so that you can navigate each Spanish menu with confidence and enjoy your meal just as much as (or more than!) your meat-eating counterparts. Perhaps one of the most traditional European cultures that still does not understand the concept of what a vegetarian is, Spain is known for its abundance of ham and exotic seafood that finds its way into virtually every “tapa” (small dish) on the menu. 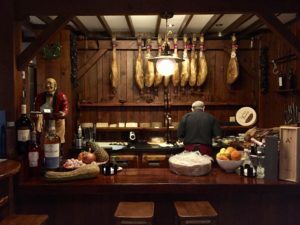 Almost every Spanish bar you walk into is filled with large ham legs proudly hanging from the ceiling and wall, with many Spanish restaurants featuring the leg they are currently carving (hoof and all!) on the counter, while some display large aquatic creatures on ice waiting to be served. Although grocery stores are usually a safe-haven for vegetarians and vegans alike, you will not find refuge from the display of raw meat at any local Spanish market or even the Spanish supermarkets! So, how do you survive as a vegetarian in Spain? First, as a vegetarian in Spain you must understand that the concept of being a vegetarian is basically nonexistent. As a vegetarian, some common phrases or questions from our carnivorous companions are “What? You don’t eat meat? Not even chicken?” or “Oh okay. So you still eat fish, right?” or “How do you even live without meat? !” or “So… what do you eat? Lettuce?” or “I could never do that. I love eating too much,” (hello… don’t we all?). Mainly as a vegetarian, I am met with gasps, faces full of shock, fear, and confusion, and the main question… “But how do you SURVIVE? ?” This multiplies tenfold when you are a vegetarian in Spain. Just imagine that one scene from “My Big Fat Greek Wedding” and it’s exactly the same for vegetarians in Spain (if you haven’t seen the movie you MUST go watch it!). To navigate traditional Spanish tapas menus, you’ll need to become familiar with some basic Spanish food vocabulary to find the non-meat options (yes, vegetarian Spanish tapas exist! Explore my meatless recommendations for specific Spanish vegetarian dishes below the Spanish food vocabulary!). Now for my favorite meatless Spanish dishes that are traditionally vegetarian tapas! 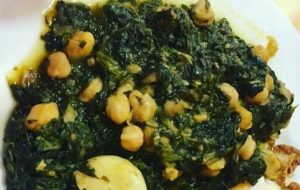 This traditional Spanish vegetarian dish, simply named “Spinach with Chickpeas”, can be found in almost any traditional Spanish restaurant. It consists of cooked chickpeas and spinach, and may be prepared a variety of ways. Sometimes Espinacas con Garbanzos may be served as a thin soup, hearty stew, or on a plate! Not only is this meatless Spanish dish perfect for vegetarians, but it is even suitable for vegans! Gazpacho is a traditional Spanish vegetarian soup served chilled. Very typical of Andalucía, the southern region of Spain, Gazpacho is a tomato-based vegetable purée. It is usually made from fresh vegetables like tomatoes, cucumbers, peppers, olive oil, garlic, and salt. 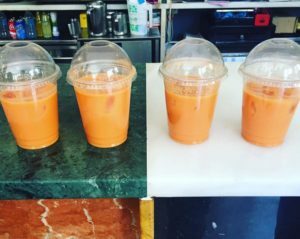 Gazpacho is the perfect light vegetarian tapa that can be enjoyed in Spain at any time of the year, but many Spaniards enjoy Gazpacho as a refreshing vegetarian delight during the summertime because they drink it right out of a cup! This healthy vegetarian dish is also perfect for vegans! Ahh Patatas Bravas… probably the most widespread and easily-found vegetarian tapa anywhere in Spain. 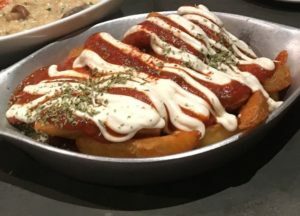 Also known as Papas Bravas, this traditional vegetarian tapa consists of fried potatoes smothered in either a red tomato-based sauce with spices, a white sauce that varies in taste from alioli (garlic mayonnaise) to a more mild ranch-like sauce, or both! Patatas Bravas is the perfect vegetarian tapa for when you are craving something hearty, and it is a typical meatless Spanish dish so simple it is hard to go wrong! To make Patatas Bravas vegan, simply ask for this tapa without the white sauce or ask for the sauces on the side. Salmorejo is also a traditional Andalucian tomato soup that is served chilled and is similar to Gazpacho. 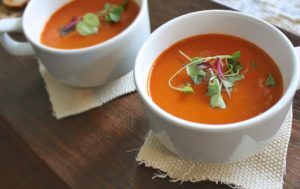 However, Salmorejo is generally thicker than Gazpacho, served with bread, and is not typically vegetarian– but it is very easily made vegetarian or vegan! Depending on the Spanish restaurant, there might be chopped hard-boiled egg and/or a sprinkle of crisped bacon served on top of the soup. With this knowledge beforehand, now you how to order Salmorejo to easily turn it into a vegetarian or vegan tapa. This delicious vegetarian Spanish tapa is simply “Cheese Platter”! A Tabla de Queso can be almost any size! Served at virtually any Spanish eating establishment, this traditional tapa is loved by most Spaniards and is the perfect dish that can be shared between carnivores and vegetarians alike in a group of any size! One of the best aspects of ordering a traditional Spanish cheese platter is that you can try many different types of cheeses and find your favorite! 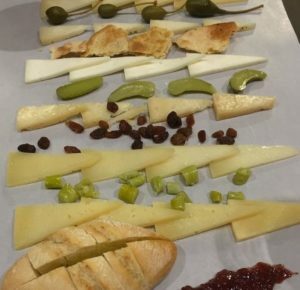 As a bonus, many cheese platters are also served with other yummy Spanish vegetarian snacks such as bread, olive oil, marinated peppers, pickles, “picos” (tiny baked breadsticks), olives, and different flavors of jam! Croquetas are a traditional Spanish tapa that can be either vegetarian, vegan, or contain meat. Croquetas come in a wide range of flavors and can be a fun vegetarian dish to try at many different Spanish restaurants and bars because it allows the chef to show their creativity while still maintaining Spanish tradition. 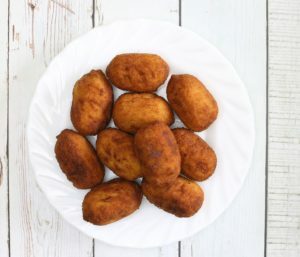 Some vegetarian Croquetas that can be easily found across Spain are Croquetas de Setas (mushroom), Croquetas de Berenjena (eggplant), and Croquetas de Espinacas y Piñones (spinach and pine nuts). With the versatility of this Spanish tapa, vegetarians, vegans, and meat-eaters can enjoy the Croqueta of their liking! Named “Grilled Peppers” this typical Spanish vegan dish is simple and to-the-point. Pimientos Asados is a vegetarian tapa consisting of whole grilled peppers and salt. (I know, it’s a bit complicated but I’m sure after some practice you’ll be able to memorize the ingredients). 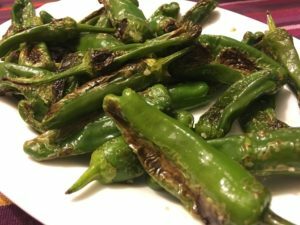 In northern Spain, you will sometimes find a Spanish tapa named “Pimientos del Padron”, which is the same dish made with a specific type of pepper from the Galician region. This traditional vegan tapa is best served alongside other delicious Spanish foods and is easily eaten in a group of any type of eater. Sometimes the best way to enjoy traditional Spanish tapas is by eating them in the traditional Spanish way- ordering a ton of different dishes and sharing them among the whole table! As a vegetarian living in Spain, I understand the difficulties that traditional Spanish cuisine may present to a non-meat-eater. However, when exploring a little further it is not too difficult to find good vegetarian food in Spain! Even when there is a “faux-pas” and the dish that you ordered (that you made sure had only vegetarian ingredients listed on the menu) comes out of the kitchen with meat (the Spanish love to throw ham into everything! ), all you need to do is kindly tell the waiter you do not eat meat and they will replace your food with a true vegetarian dish (some very apologetic and others begrudgingly, but I’m happy as long as I get food!) 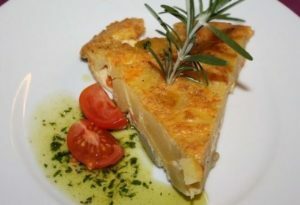 Now that you know what to eat (and how to figure out what is on the menu) you can now survive as a vegetarian in Spain! (Just make sure not to turn corners too quickly in a Spanish grocery store… a huge leg of jamón ibérico whacking you in the face is something I have yet to get used to). Have you tried any of these vegetarian Spanish dishes? Have you traveled or lived in Spain as a vegetarian before? What is some of your favorite vegetarian food in Spain? 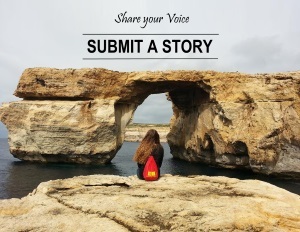 Share your thoughts and tips about being a vegetarian in Spain and eating vegetarian Spanish cuisine in the comments below! 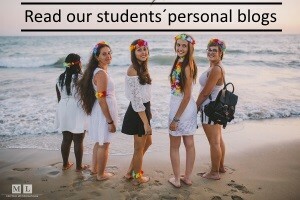 Hi – this is a great article. Spain is one of my favourite countries and I spent a few weeks travelling around during July this year. I noticed that in the North they eat a lot of potatoes…potato omelettes, potato sandwiches! Potato everything! And I don’t eat potatoes because I am low carb…so it is extra difficult for me. Luckily salads are fresh and delicious, and I enjoy cheese and vegetables too. Hi Tracy! Thanks for your comment. Yes, there are a lot of potato dishes here in Spain! Luckily, like you mentioned, Spain has a wonderful range of fresh produce options for delicious, well-rounded meals (: Recently, vegetarian dishes and restaurants have become more popular, so beyond the traditional Spanish food, it is not difficult to find awesome vegetarian and vegan options!